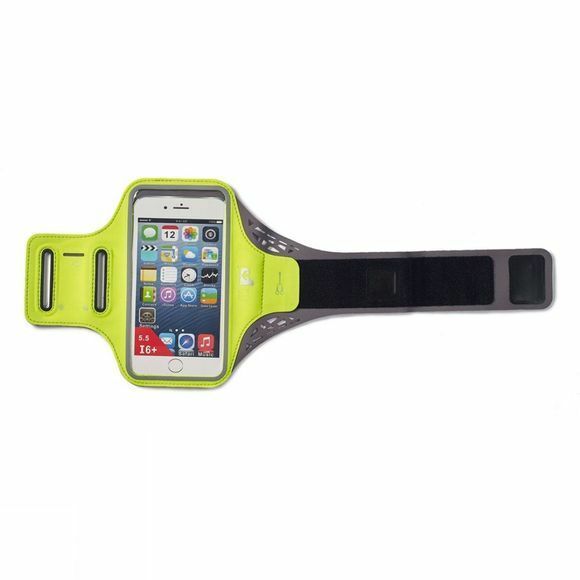 The Ultimate Performance Ridgeway Phone Armband is designed to securely hold and access your smart phone during training sessions or races. The carefully selected lightweight, performance fabric is flexible and moulds to your body shape to keep the armband securely in place whilst the smooth finish helps to reduce irritation to the skin. It's ultra lightweight and water-resistant material means that you can carry your smartphone comfortably in all but the worst environments. The high-visibility reflective trim also provides added safety in low-light conditions. Designed to fit iPhone 7, 7+, Samsung Galaxy and similar sized smart phones with touch window that enables you to use and access your screen whilst inside the carrier. Four outlet ports evenly placed on the top and bottom of the pack for headphone cables allow you to pick the best option to suit your specific phone design. We've even added a little headphone tab to secure the excess cable to the pack! Fully adjustable strap - simply thread the strap through point A for a larger size or point B for the smaller size and fasten where required. 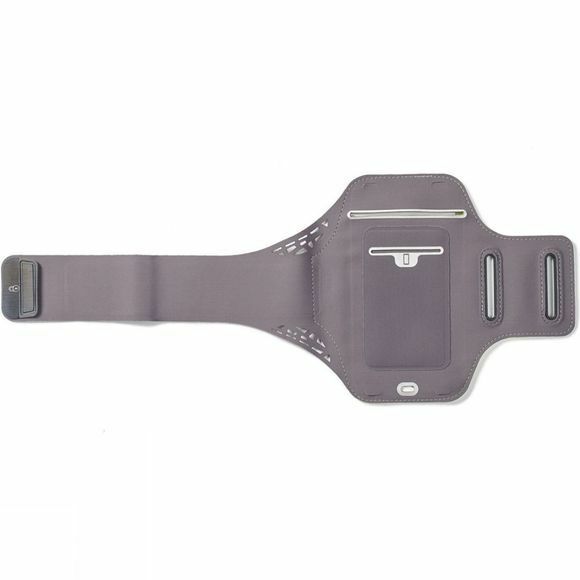 The secure end lock tab on the strap helps to keep the band in place. We've also added a small key pocket in the strap and on the reverse a hidden credit card holder so you can keep all your essentials comfortably in one place.